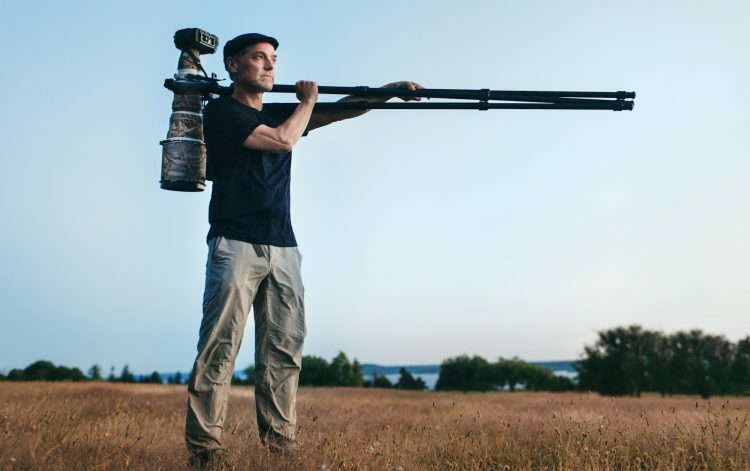 “We’re in the ideal spot for owls,” says Bannick, ’86, who climbs trees and hikes tundra to capture images of the nocturnal predator. 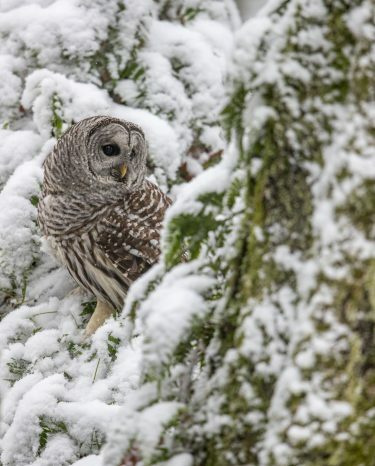 In a good year, Washington is home to 15 different species of owls, the most of any U.S. state. This ecological sweet spot is thanks to an ocean out west, a dry interior out east, and an intervening mountain range that carves out sub-climates on top of peaks and inside valleys. More climates, more species. Nobody knows North American owls like Paul Bannick, who traverses the continent to track them down. His images send us soaring with great gray owls, eying prey with northern hawk owls and nesting in old-growth trees with spotted owls. 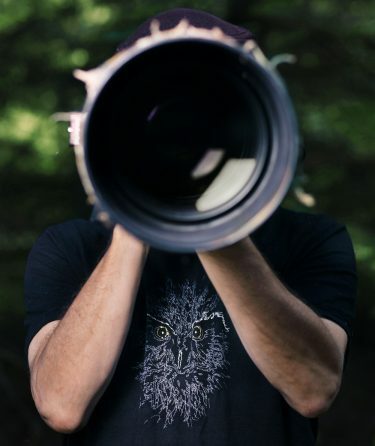 The first place Bannick ever photographed an owl was Discovery Park, the 534-acre wilderness tucked inside Seattle’s Magnolia neighborhood. Since then he’s found up to six different species in the park. This summer, he took Columns Magazine on a trip through these trails, starting in the south parking lot, and we weren’t disappointed. What makes Discovery Park special, says Bannick, is that it’s a combination of meadow and forest, with both saltwater and freshwater. That means a diverse range of species can find food and shelter. The park used to be an Army base called Fort Lawton, where Bannick’s father was decommissioned from World War II. The Army gave the land to the city in 1972, and the park opened in 1973. Generally speaking, owls are animals of low-light. “You’re going to find the most owls just after the sun sets, or just before the sun has risen,” Bannick says. 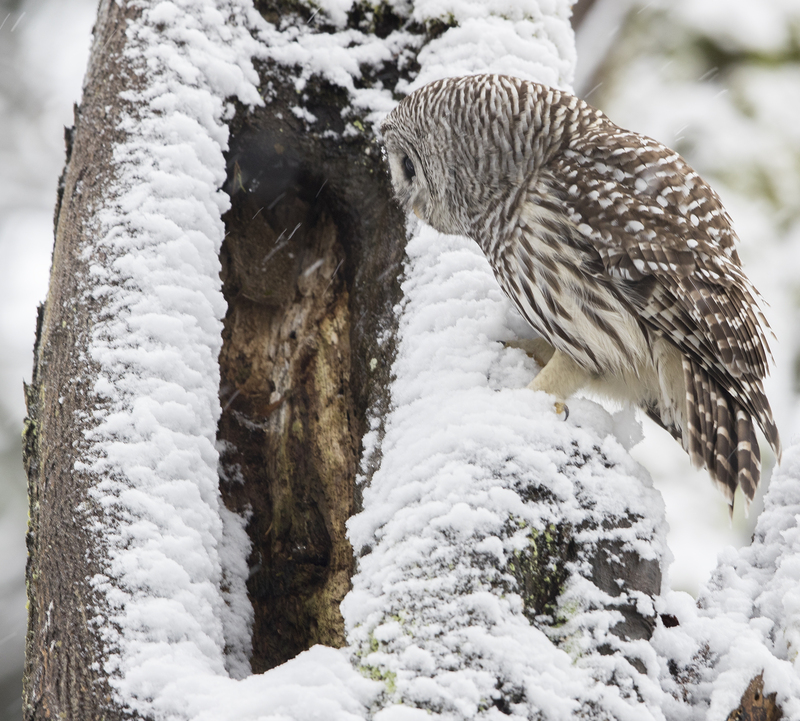 Many are nocturnal (active at night), others are crepuscular (active at the beginning and end of the day), and some, like the northern hawk owl and the northern pygmy owl, are active during the day. Got time to kill? Post up and wait for an owl to arrive. Look for trees that provide a stable perch and some sort of shelter. If you know the habitat, you improve your chances. A great gray owl, for example, perches low near a meadow. “What I want to do is arrive before the owl arrives,” says Bannick, “so it goes about its normal behavior without worrying about me.” Avoid seeking them out in crowded parks, during mating season (between May and July), or if the species is endangered or threatened. “Some have hoots, some have whistles, some have toots,” says Bannick. 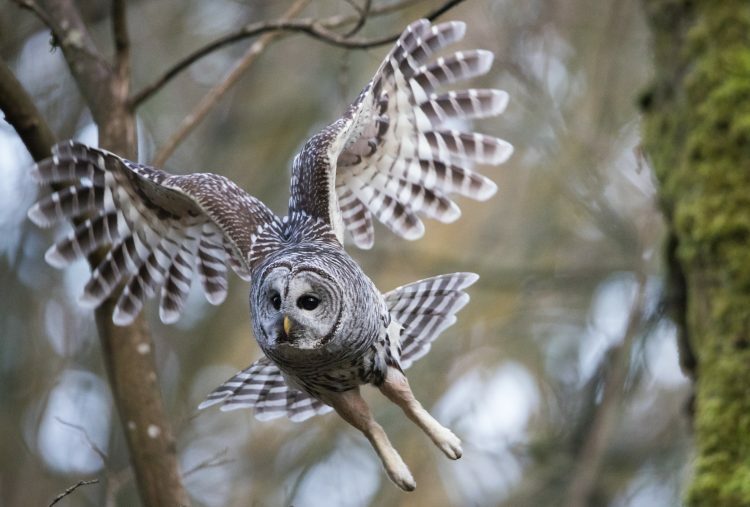 If you’re inspired by Bannick’s barred owl hoot in the audio story, think twice before trying it yourself. Only one owl in his last book was hooted in. “All the others are from reading the land,” he says. 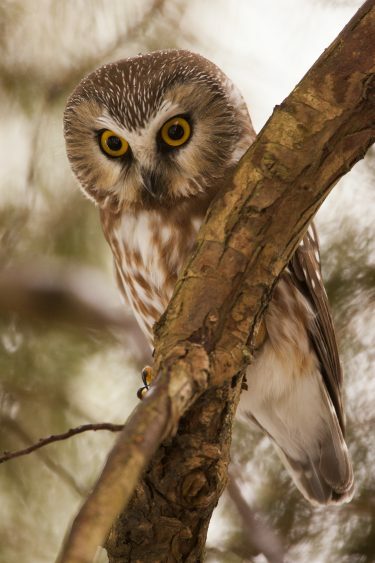 You can theoretically spot every North American owl by visiting only three U.S. states. Start in Washington, stop in Arizona, then head to Texas to round out the list. 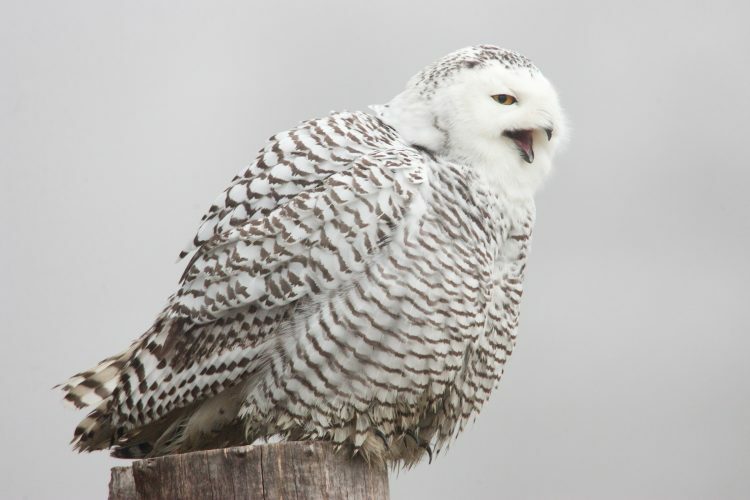 Fair warning: You have to get lucky to see a Snowy Owl in Washington. “Owls are carnivores and predators, and there are so many things beneath them that have to occur for them to survive,” Bannick says. That’s why they’re considered an indicator species, which means they can tell you if an area has a functioning ecosystem. Other birds hate owls. Not just that they’re a predator, it’s that they’re a ruthless predator. Here’s a graphic example: An owl that’s well-fed will eat only the brain of its prey, and then store the rest for later. Quinn Russell Brown is the digital editor of Columns Magazine.